Unable to resolve tensions with the largely pro-Russian autonomous region of Crimea, Kiev is bombarding Moscow with accusations and warnings. 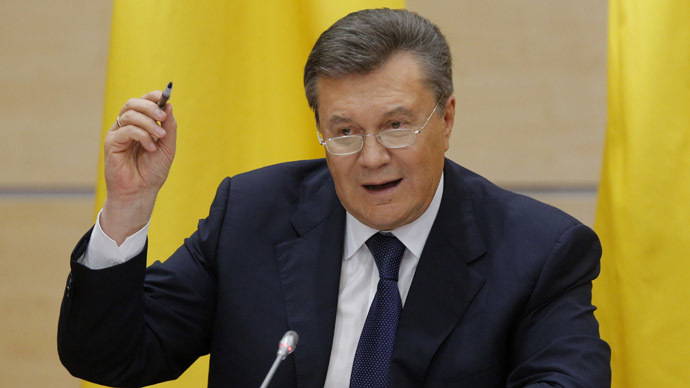 Some politicians have even threatened to restock Ukraine’s nuclear arsenal. 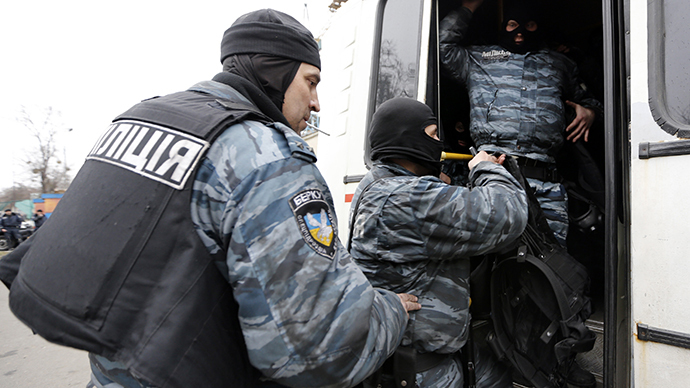 Facts you need to know about Crimea and why it is in turmoil. Throughout Friday, Russian diplomats and the military had to refute media speculation and explain that the armed people at the Crimean airports in Simferopol and Sevastopol weren’t Russian troops. “There are no troops whatsoever. No Russian troops, at least… Some civilians claiming to be representing groups of ‘self-defense of Crimea’ arrived at Simferopol airport overnight, but they retreated and nothing happened,” Russian ambassador to the EU, Vladimir Chizhov, told Euronews. The Russian Black Sea fleet has been stationed in Sevastopol since the 18th century. Following the collapse of the Soviet Union it remained there, according to an agreement between Russia and Ukraine. 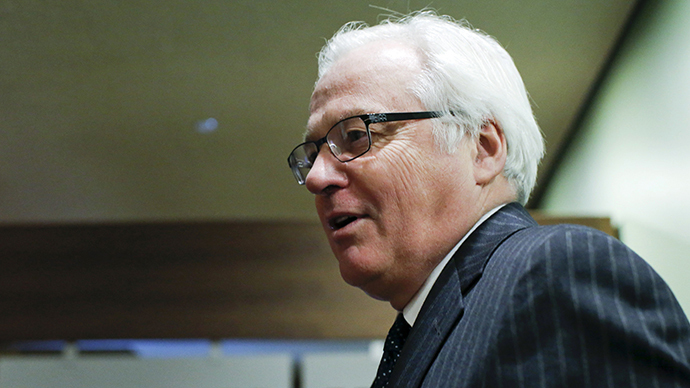 Any movements of the Russian military within Crimea are in line with the existing arrangements with Ukraine on the deployment of military assets in the former Soviet republic, Russia’s UN ambassador Vitaly Churkin said. 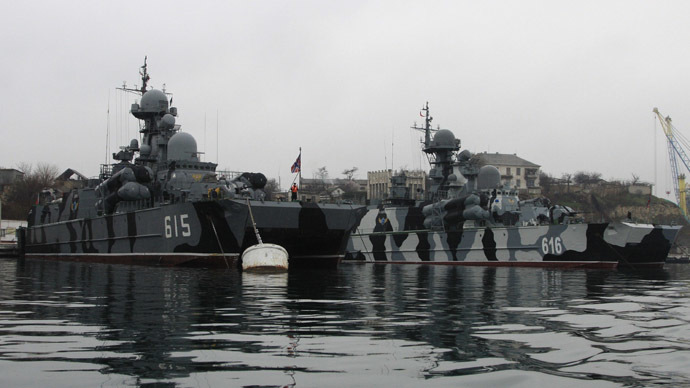 “We have an arrangement with Ukraine about the stationing of the Russian Black Sea fleet in Sevastopol and we are acting within the framework of that agreement,” Churkin told reporters. The ultra-right “Svoboda” (Liberty) party has remained unconvinced, with one of its representatives in the Ukrainian parliament warning that if Russia doesn’t tread carefully it will be dealing with a nuclear power. "We’ll regain our status as a nuclear power and that’ll change the conversation. Ukraine has all the technological means needed to create a nuclear arsenal – which would take us about three to six months,” Svoboda party MP Mikhail Golovko said. The rhetoric, which contradicts the international nuclear non-proliferation treaty Ukraine signed in 1994, is not new for the Svoboda party, one of the driving forces behind the Maidan uprising. Its leader, Oleg Tyagnibok, already promised that the country would go nuclear while he was running for the presidency in 2009. But how feasible is the prospect of Ukraine ‘regaining nuclear status’? After the collapse of the Soviet Union, former republics Ukraine, Belarus and Kazakhstan agreed to either dispose of or send over to Russia their nuclear arsenals, which they held while being part of the USSR. In 1994 a trilateral agreement was signed by the presidents of the United States, Russia and Ukraine, stipulating the process of Kiev’s nuclear disarmament. 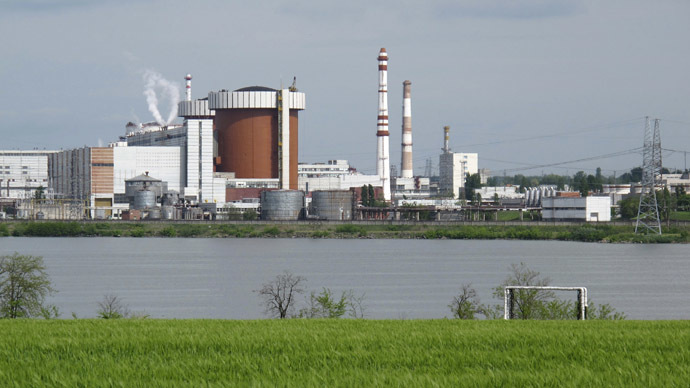 In 1996 Ukraine officially lost its nuclear status, having gotten rid of the whole of its stockpile. But the country still draws almost half of its energy from atomic power, and is home to Europe's largest nuclear power plant. While the uranium Ukraine gets from Russia for its reactors is low-enriched, reactor waste is quite enough to make a so-called dirty bomb. The country possesses manpower and know-how to do that as well as delivery vehicles for nuclear payload, which don’t have to be too sophisticated. The Ukrainian MP’s nuclear rhetoric is highly counterproductive amid the current turmoil, political and economic analyst Martin Seiff from The Globalist news website said. American geopolitical analyst Eric Draitser takes the comment more seriously, in view of the financial aid the US and EU have been promising the new Ukrainian government. “The money that we can’t use to feed the poor and the hungry in the United States and in Europe – that money is going to support Nazis in Ukraine with nuclear ambitions, who are looking to destabilize the region, and whose sole goal is the destruction of Russia,” Draitser told RT. So far the US has been hard on nations it suspected of a nuclear build-up, like Iran. It would be curious to see how it reacts in case the idea of restocking nuclear arsenal gains popularity with more politicians in Kiev.